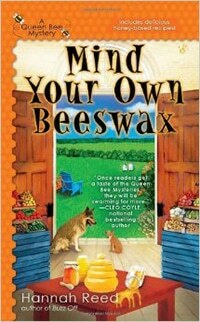 Not being an avid mystery reader myself, I just recently learned about the “cozy mystery” sub-genre. But now that I’ve done a little research, I’m thinking about a career as a mystery writer, because they pretty much seem to write themselves: a single lady with a cutesy job discovers the body of a person that everyone disliked, suspicion falls upon her for some reason, and she decides to solve the case herself with help from the town’s array of kooky characters. By the time you’ve finished your tea and scones, the mystery is neatly solved and order is restored. If you’re looking to log some cozy couch time, here are eight of my new must-reads. 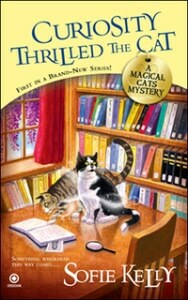 Need more cozy mysteries? Check here! Melanie Cooper and Angie DeLaura are best friends and co-owners of the Fairy Tale Cupcakes bakery, along with their good friend and silent partner Tate Harper. Their first big job is an order for 500 cupcakes for Tate’s wedding to his awful, narcissistic fiancée Christie; Mel and Angie both dread that Tate’s whiny bride will try to wreck their friendship. 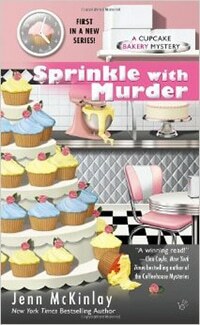 When Mel shows up for a cupcake tasting and discovers Christie’s body (with one of Mel’s cupcakes in her cold, dead hand, no less), they’ve got a lot more to worry about than a demanding bridezilla. I love this book for the title alone, but the little pictures of cupcakes and sprinkles dividing the chapters are, shall we say, icing on the cake. To the list of adorable fake professions that mystery-series heroines have (“cupcake baker” being right at the top), we can now add “part-time beekeeper.” Story Fischer (these names!) runs a local market in rural Wisconsin and owns her Queen Bee Honey business, but her disloyal hive hits the road looking for better digs. While Story seeks her bees, the rest of the town is searching for a prodigal daughter whose scandalous return is the latest gossip, so naturally Story is the one to find the corpse in the woods — along with the body of another local resident. Failing to take the title’s advice, she delves into the mystery, even when it seems to point to a long-ago tragic killing and a thirst for revenge. 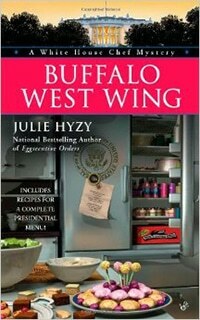 This is the fourth book in the series starring White House executive chef Olivia Paras. A new president has been elected, and during the chaos leading up to Inauguration Day (and its many dining events), a box of poisoned chicken wings from a chain restaurant suddenly appears in the White House’s kitchen. When it becomes clear that these chicken wings were meant for First Children Abigail and Josh, the Secret Service is on the case. But the new First Lady holds Olivia responsible for the near-miss; fearing for her job, it’s up to a certain chef to solve the Case of the Extra-Crispy Poisoning. Like many culinary mysteries, this book includes recipes tangentially related to the plot: here, there’s some kid-friendly food, as well as Greek dishes like tzatziki, baba ganoush, and chicken souvlaki, and a state dinner menu of crab agnolottis, Wagyu beef, garlic mashed potatoes, and mixed berry cobbler. San Francisco-based general contractor Mel Turner’s newest restoration project is a lovely and historic Queen Anne Victorian, but the renovations run into trouble when the house’s resident ghosts demonstrate their displeasure. Meanwhile, Emile Blunt, a cranky old-lady neighbor, schemes to buy the house herself, even though it’s not for sale; Mel suspects Emile is trying to scare away the current owners with a bogus “haunting” and snap up the house. When Emile is found shot dead, suspicion falls on Mel. Can she discover the true culprit while finishing her restoration and appeasing the live-in specters? Oh yes, I said “magical cat mystery.” Librarian Kathleen Paulson moves to Mayville Heights, Minnesota, to make a fresh start after her jerk of a boyfriend leaves town for a couple of weeks and comes back married to someone else. Kathleen quickly adopts two stray cats: Owen, a catnip-addicted tabby, and Hercules, a plus-sized tuxedo who shares her appreciation for Barry Manilow. When a visitor to the local music festival is found dead, Kathleen becomes the prime suspect. Little does she know that her grateful pets are magical cats, and they’ll be putting their arcane powers to work in order to help solve the murder and clear her name. 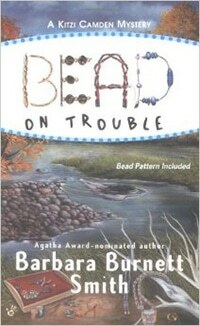 In case you thought beading was just for gentle spinsters and their herds of cats, Bead on Trouble exposes the seedy, murderous underbelly of jewelry-making. Kitzi Camden, a retired Texas politician and avid beader, heads off to a nostalgic beading-themed summer camp with her best friend, Beth. 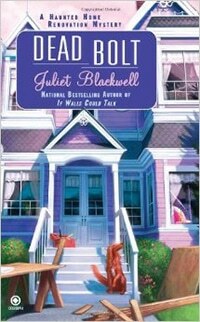 But when one of the camp’s employees is murdered — and it surfaces that the victim was having an affair with Beth’s husband — it’s up to Kitzi to find out the true killer while keeping her investigations undercover, since she’s also a suspect. If you’re writing a murder mystery and can’t think of a groaner pun for the title, it’s always safe to just stick MURDER in there somewhere. 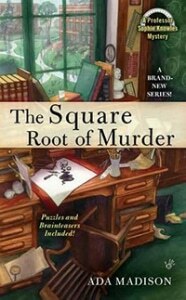 So it goes with The Square Root of Murder, featuring Dr. Sophie Knowles, a math professor at Henley College in Massachusetts who sets crossword puzzles in her spare time and is beloved by her students. A universally hated colleague turns up dead at a department party — and Sophie’s assistant Rachel is the main suspect. It’s up to Sophie to use her logical powers to solve the murder. The author holds degrees in math and physics, so I’m assuming she knows her business, if not how to come up with a catchy title. In addition to having an excellent name, The Long Quiche Goodbye is a national bestseller and even won the Agatha Award for Best First Novel 2010. Charlotte Bessette is the new cheesemonger of Fromagerie Bessette, aka the Cheese Shop, which has been passed down to her from her feisty Grandmére, who’s running for mayor of their tiny Ohio town. Just as Charlotte is preparing for the grand opening, she finds a body outside the shop; the victim, the lecherous husband of Grandmére’s political rival, has been stabbed to death with one of Charlotte’s own olivewood-handled knives. 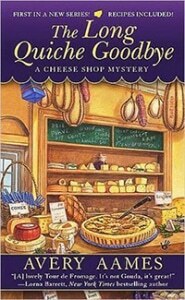 Woven into the story are facts about cheesemaking, descriptions of exotic cheeses, and a few savory recipes. Surely this one is the cheesiest of them all!